Procreate is an awesome app. 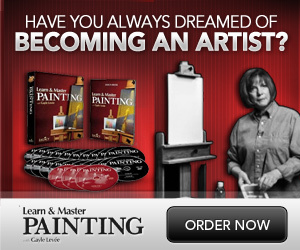 I only started using it several months ago, so I am not an expert as of yet, but there are plenty of artist’s who are. So I searched the web and found some excellent drawing tutorials as well as some basic “how to get started” stuff for procreate as there are many great features, tips and techniques that you may not be aware of. I hope you enjoy and learn something new today! This procreate tutorial series is intended for beginners to advanced procreate users. It should teach you everything you need to know about the basics of using Procreate on iPad. This is part 1 of 10 in this comprehensive procreate tutorial series. These tips and tricks should help you improve your understanding and workflow within Procreate. Learn how to use the gallery, share and export artworks, configure canvas size, control DPI, adjust brush sizes, turn on quick line, work with opacity and much more. This Procreate Beginners Tutorial was made using Procreate 4.0, if you want to learn about the new features, check out my Procreate 4.1 and 4.2 update videos on my channel 🙂 Enjoy! Visit the artist’s youtube channel here. Artist Okse takes you through the basics of the Procreate app , how to create a drawing showing you various brushes and inking colouring and shading techniques. Visit the artist’s youtube channel here. Here’s the much teased “Techniques” video! Well, part one, really. I felt it best to break it up so watching them is a little easier. I’ll continue to do these as more questions add up that I can’t address in my normal videos. In this one I cover equipment, brushes, and other similar basics. If you have any questions, please let me know in the comments below. Thanks for watching! Visit the artist’s youtube channel here. In this video I show you how I sketch and draw faces. I cover basic concepts and techniques that’ll enable you to draw better portraits. For this tutorial I have used Clip Studio Paint but the methods explained in the video apply to any medium, so feel free to use paper and pencil, the iPad Pro & ProCreate or anything else you have! (Please keep in mind that this video focuses on the technical aspect of drawing faces. I wasn’t trying to create a nice and appealing illustration.) I hope this drawing tutorial helps you in becoming a better artist 🙂 Let me know in the comments what you struggle with the most! Visit the artist’s youtube channel here. How to draw an eye using digital painting software. In this video I will show you how I draw an eye step by step. I work in Procreate on iPad Pro in this video, but most of the techniques and tips also apply to traditional drawing or to drawing or painting in software like Photoshop or Painter. If you want to draw along during this drawing tutorial, you can always press pause if you need more time, or you can slow down the video to keep up. During this tutorial I used the Vine Charcoal and HB Pencil from Procreate. Visit the artist’s youtube channel here. In this video I show you my process on how to create a digital painting in Procreate, on the iPad Pro (12.9) with the Apple Pencil. Visit the artist’s youtube channel here.